With our esteemed architectural team at Eric Sheffield Architects paired with the ultra-talented design force of Paris Forino and master builders Think Construction, from one ambitious idea followed by years of cultivation, we are proud to deliver a home so unique, so special in its timeless design and twist of the contemporary, bespoke details abound, the finest materials and finishes coupled with a new level of haute craftsmanship, this is a polished home waiting to be discovered, explored, adored and acquired. 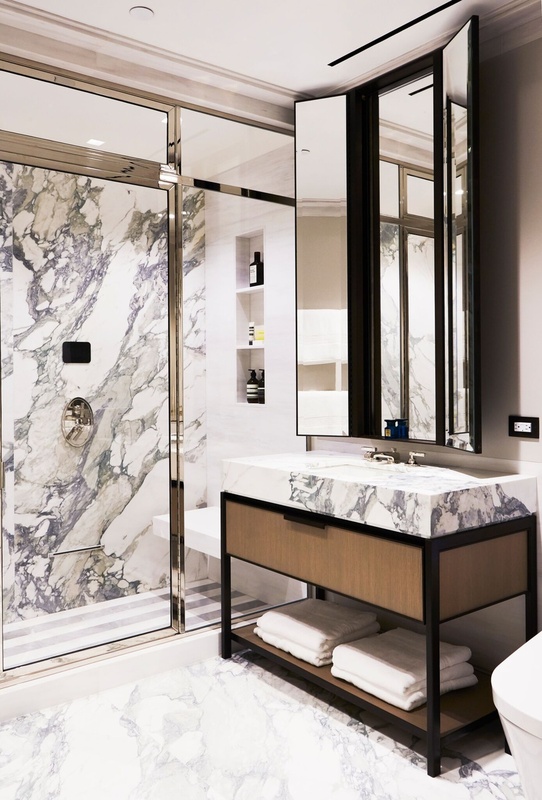 Keyed elevator opens to the full floor 5,444 square foot divine Private Residence---stepping into the formal entrance, one will pass through the most magnificent and handsome custom front door tailor made in rose mirror, brass and gun metal steel. The foyer floors are set in an exquisite high honed Pallesandro Bluette marble with a chevron pattern and brass inlay. 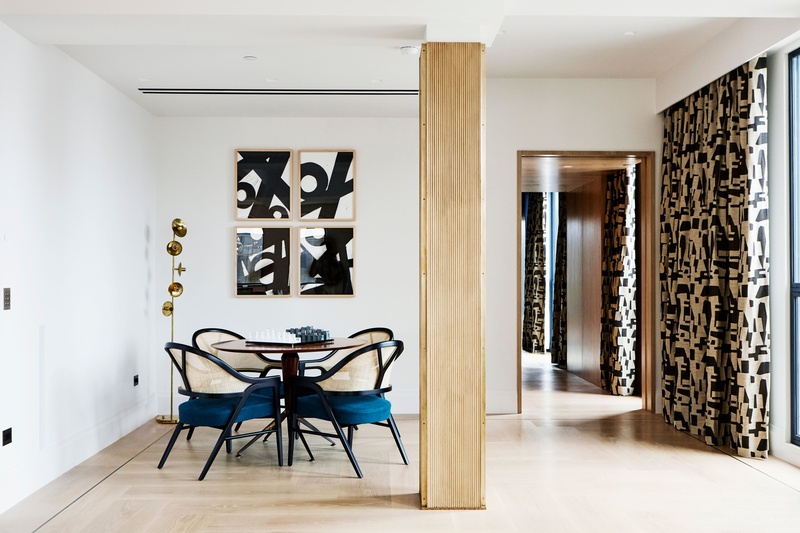 This center hallway is 44 feet long and is the passage way and heart of the home which connects the living quarters to the bedroom suites. 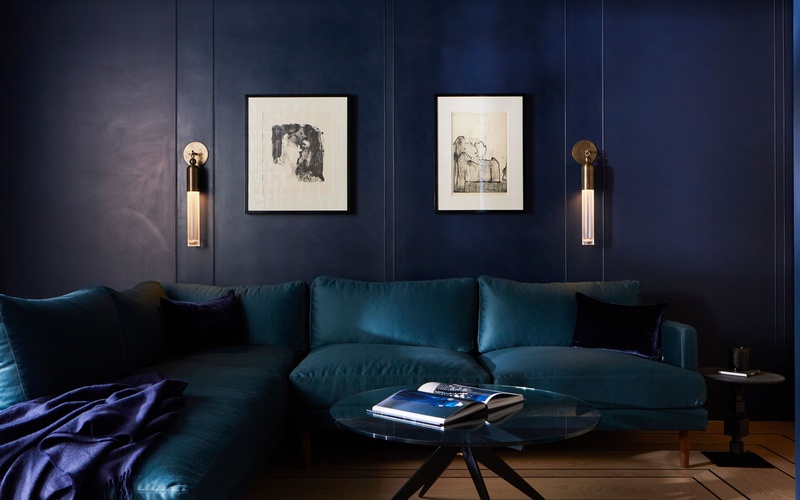 The walls are clad in a hand finished Artisanal lime plaster and handmade plaster architectural fins are paired with stunning Mid-century modern sconces and foyer chandelier. 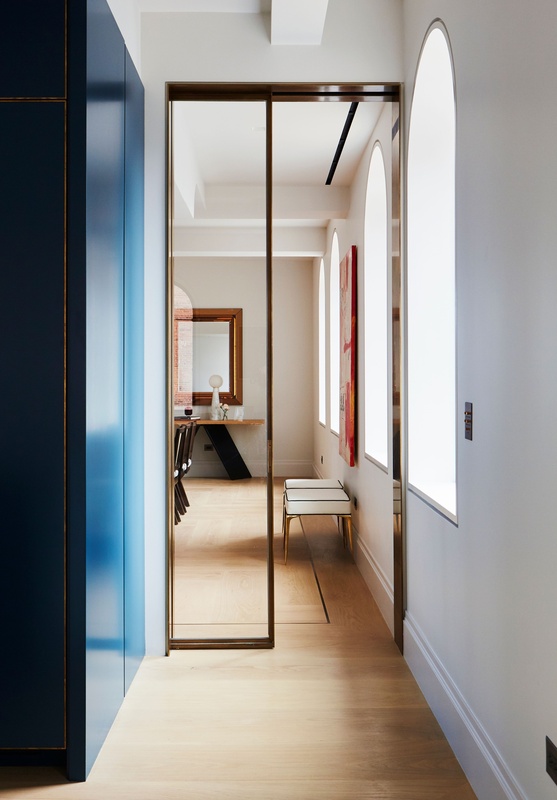 The corridor is a masterpiece in itself, sophisticated, refined and perfectly polished. To the West, the foyer entrance leads to the Grand Salon which redefines the meaning of Grand. 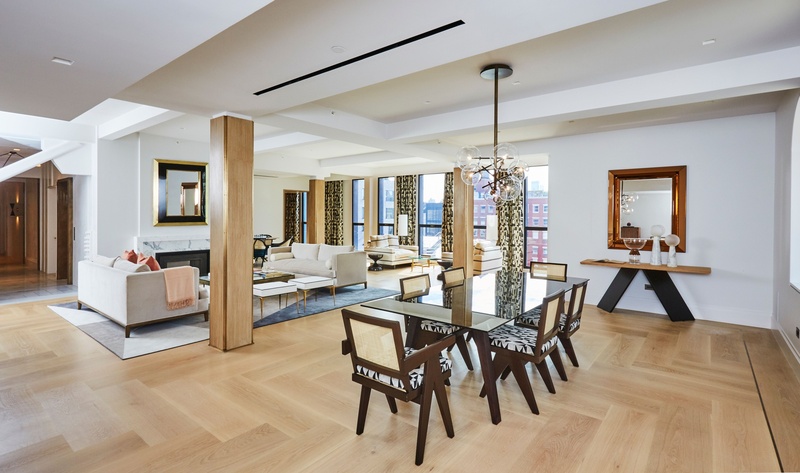 The vast space is beyond impressive with a Southern expanse of 100 linear feet and 12 floor to ceiling windows along with French doors leading to the Private Terrace. 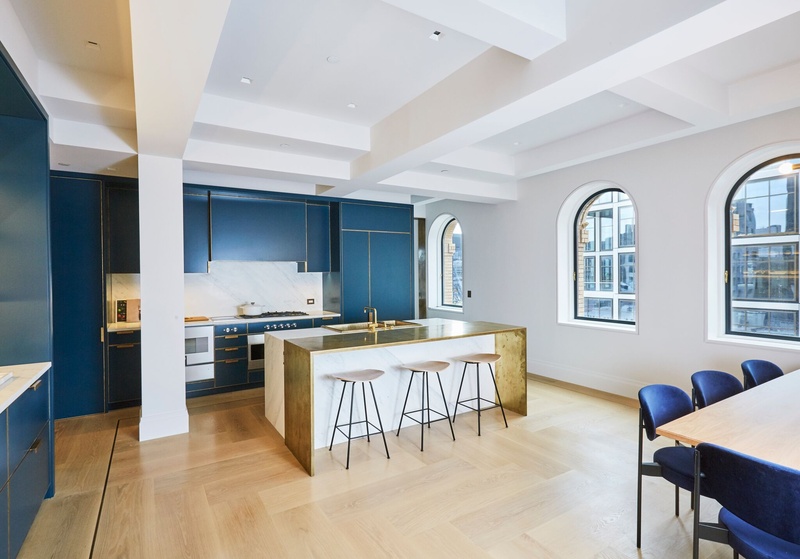 Custom floors are 12" solid oak, custom color laid in a Herringbone pattern with half-inch hand burnished unlacquered brass inlay border. The fluted columns are finished in a hand finished bleached walnut with hand burnished unlacquered brass corners. The chic fireplace is made in Statuary Extra Marble with Wallace Creek hearth. 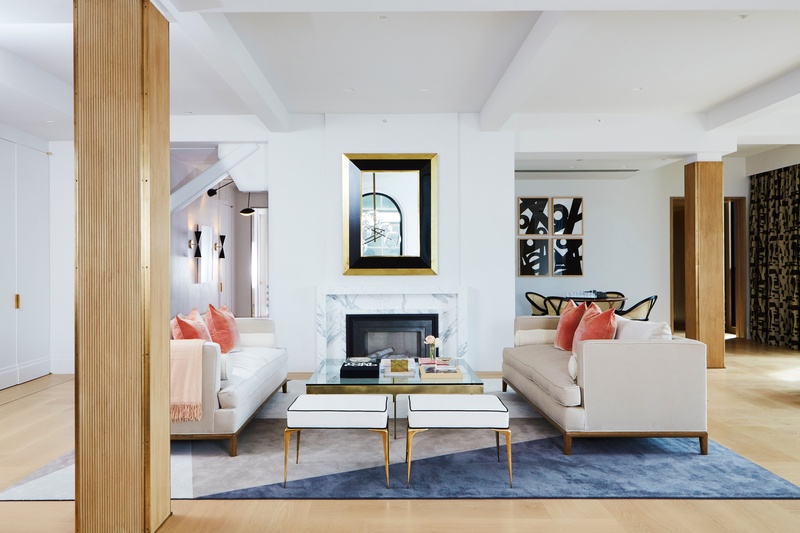 Subtle Architectural detail includes a curved custom plaster wall above the chic and delicate mantle. There is a library or corner seating area adding a special dimension to the room. 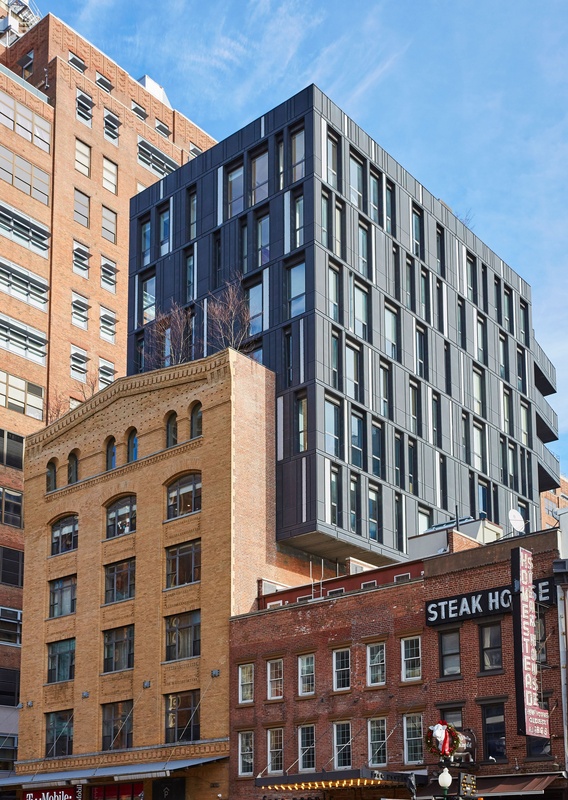 The adjacent seating faces the expansive Southern sensational floor to ceiling windows and views of the historic cobble stone roads, the triangle of Gansevoort Market District, tree lines of West Village and beyond to the iconic downtown skyline of The World Trade Center. 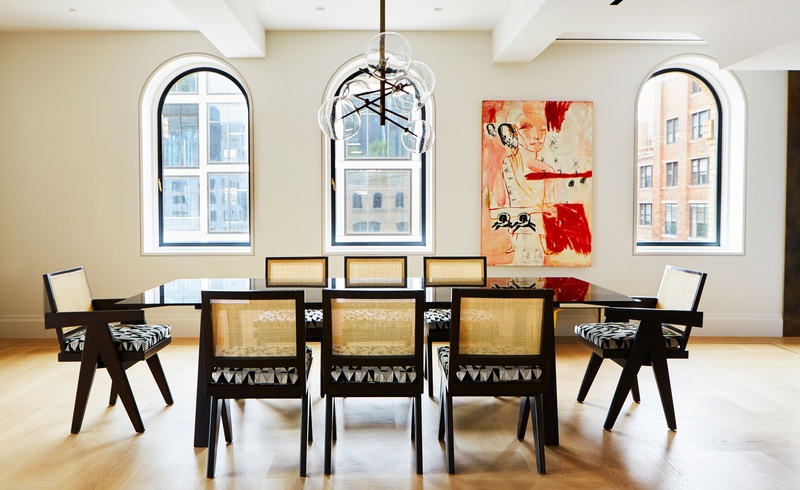 Custom furnishings and drapery exude a refined, posh yet ultra-comfortable setting. No expense has been spared, literally none. Every window throughout, 34 in total were replaced with the World’s finest windows custom made by Hope’s established in 1912 and the archtop windows custom made by Parrett Windows. 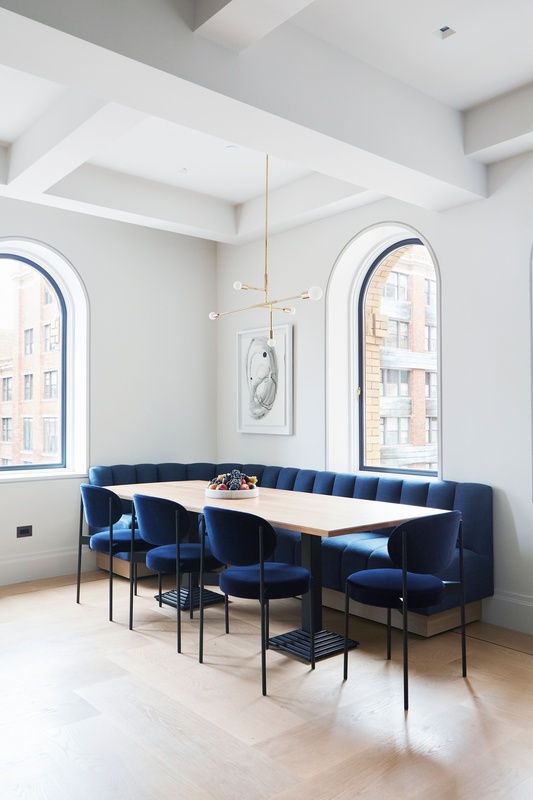 Hope’s windows and doors begin with artisans that transform billets of solid steel into a variety of slim, geometrically complex, and remarkably strong profiles. This tailored transformation is achieved through hot-rolling each custom design with strength, purpose, and aesthetic in mind. With these precision-made profiles, Hope’s crafts the world’s finest windows and doors. The architecturally stunning solid steel frames house 11 layers of glass and gel creating the ultimate definition of Pin Drop Quiet. 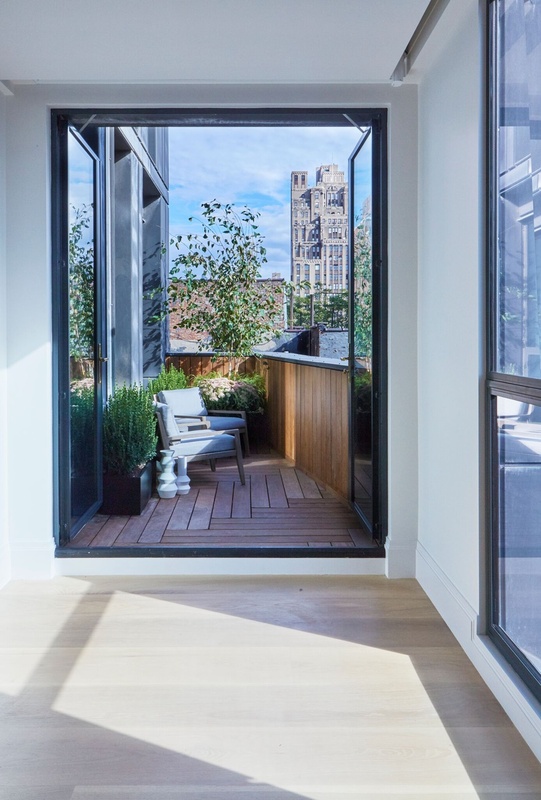 One of the seller’s top priorities was a sound proofed home-- tomblike quiet and this goal has been successfully achieved without sacrificing beauty. The kitchen is a dream come true. At 19.6 x 21 feet, the first impression is notably its enormous size. 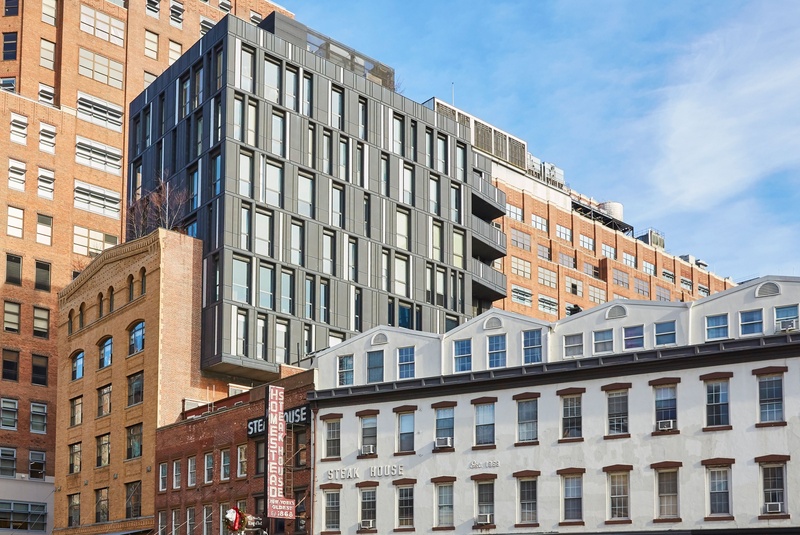 Facing North and West, the light then is realized creating a sensational atmosphere of light and air. Next the details, which are abundant, surprising and exquisitely executed. 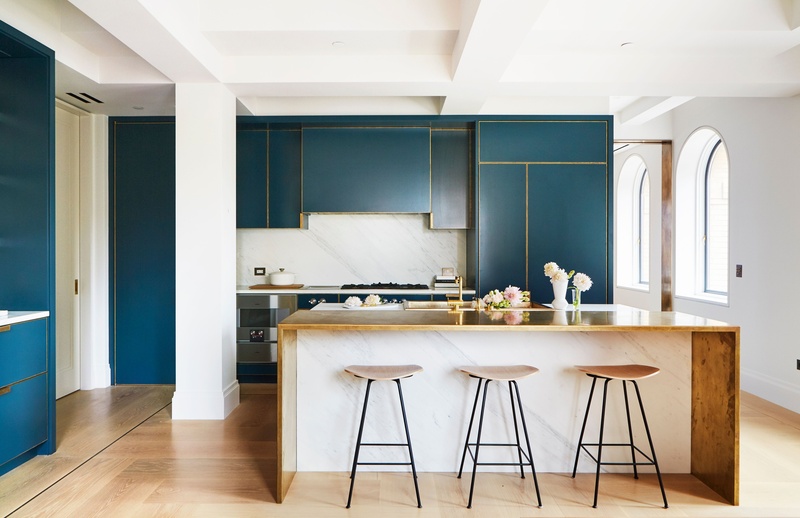 The cabinetry is a custom satin lacquer finish in Farrow and Ball Hague Blue, accented with custom hand burnished unlacquered brass trim. 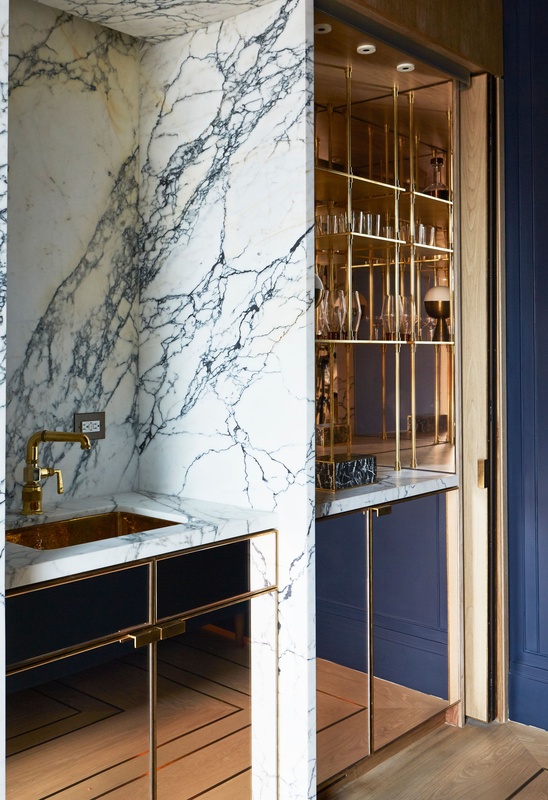 The stone is full solid slabs of Calcutta Michangelo paired with a tailor-made brass breakfast bar, brass pendant designed by Lambert and Fills and custom made upholstered banquet and dining table for twelve. The Eastern kitchen wall is the most beautiful inset stone shelves and stone counter, refined, luxurious yet functional. The piece-de-résistance is the most beautiful kitchen sink on the planet made by Rocky Mountain Hardware, this double solid cast Bronze, 400 lbs. 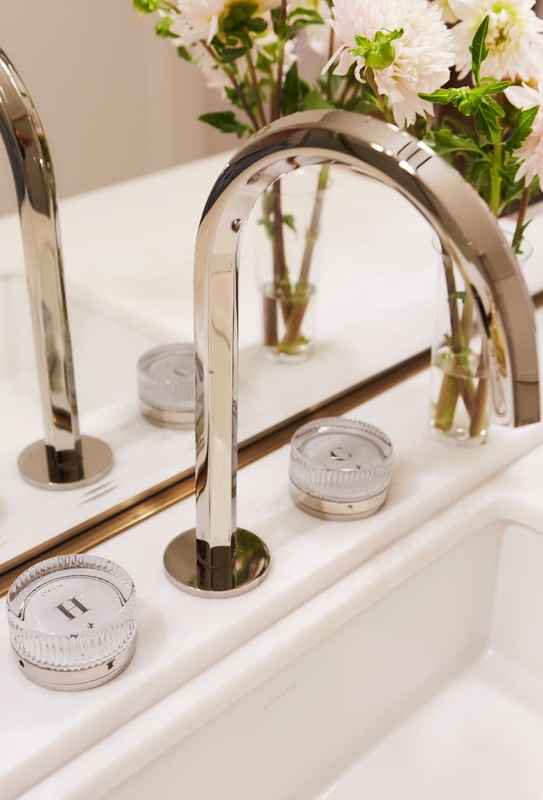 sink is the super star of the room paired with the sophistication of Vola fixtures. 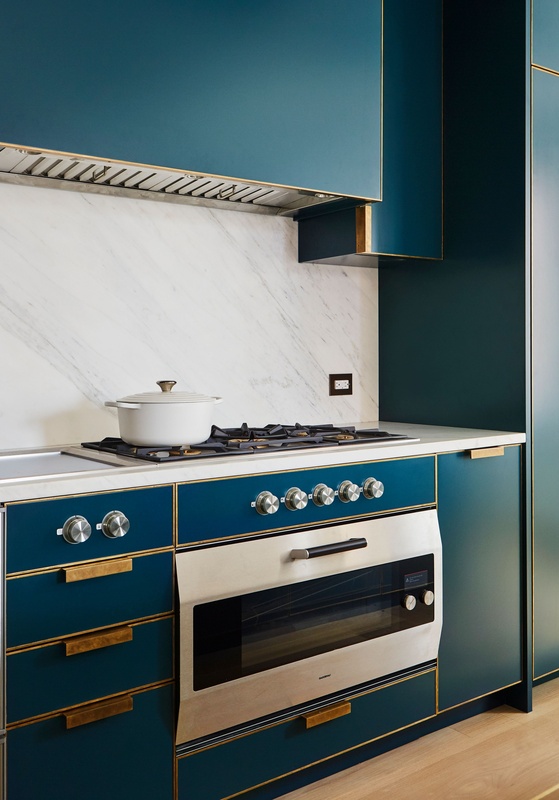 There are two Gaggenau dishwashers, French door Gaggenau refrigerator with the interior clad in a brushed stainless steel, four Subzero Fridge drawers, and separate subzero ice maker. Abundance of storage and finished walk in pantry closet. From the Southern side of the living room, you have 100 linear feet of pure wonderment and views from the Living Room all the way to the Private Terrace. Along the way, you will be dazzled by the Den and Bar or aptly named, Le Bar Bleu --- an innately intimate oasis with ceilings and walls customized in hand finished Lime plaster custom color in the deepest moodiest of midnight blues, Apparatus sconces and a bar so beautiful, your heart will skip a beat. 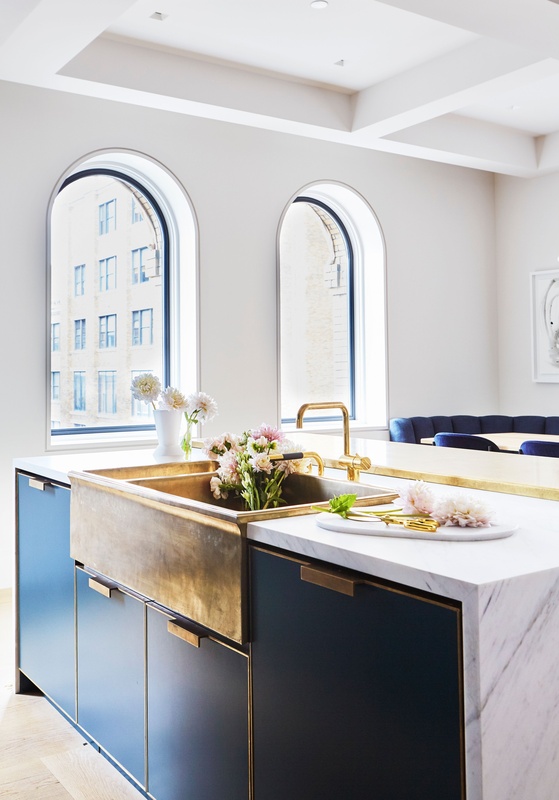 The bar is set in the divine Paonazzo stone and is flanked by two bar shelves, clad in rose mirror millwork and 300 lbs of custom solid brass shelves, Waterworks sink and fixtures and subzero refrigerator and separate ice maker. The millwork is a custom hand finished Bleached Walnut throughout with a bespoke wall of storage, ingenious in design with your custom 65-inch television hidden within. There are three huge floor to ceiling windows offering the intensely beautiful Southern views. 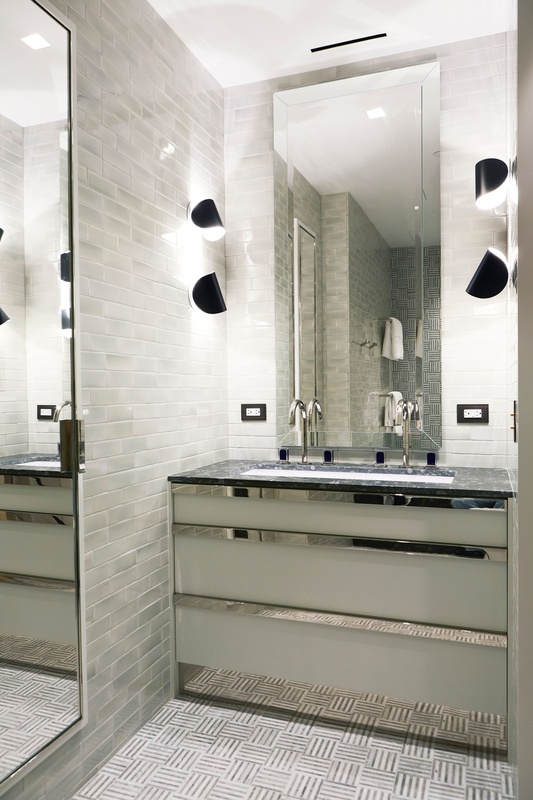 This room leads to a beautiful bath finished in Mosaic Nero Marquina in shower and floors with walls in Statuario Extra high honed and Dornbracht fixtures paired with the ultra chic Apparatus sconces. 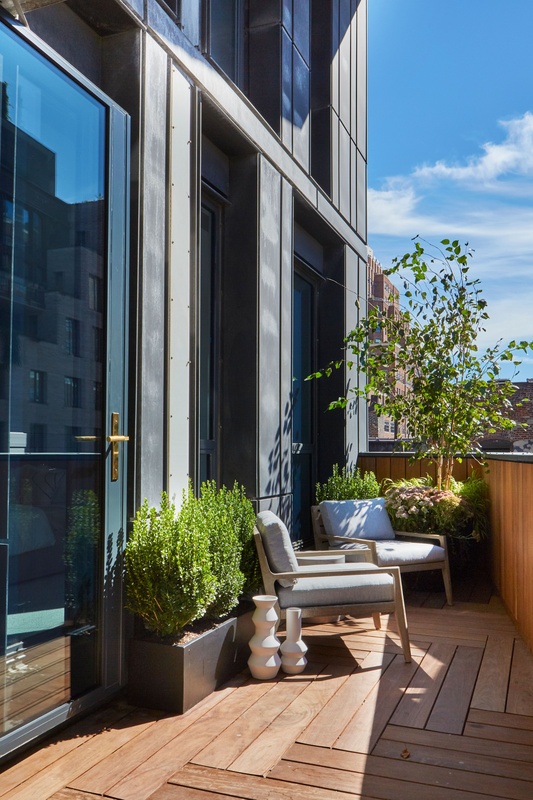 Beyond the architecturally significant Den lies the nearly 120sf Southern facing terrace set in a wood Herringbone pattern decking and wall panels offering breathtaking views of the heart the Meatpacking District, where the West Village and Chelsea gracefully intersect. Professionally landscaped in Boxwood hedges and multi stemmed Birch Tree with fully integrated irrigation system making it the perfect and intimate private outdoor retreat. The Southern facing Grand Master Suite with a wall of floor to ceiling windows, custom motorized shades and drapery is a masterful oasis. 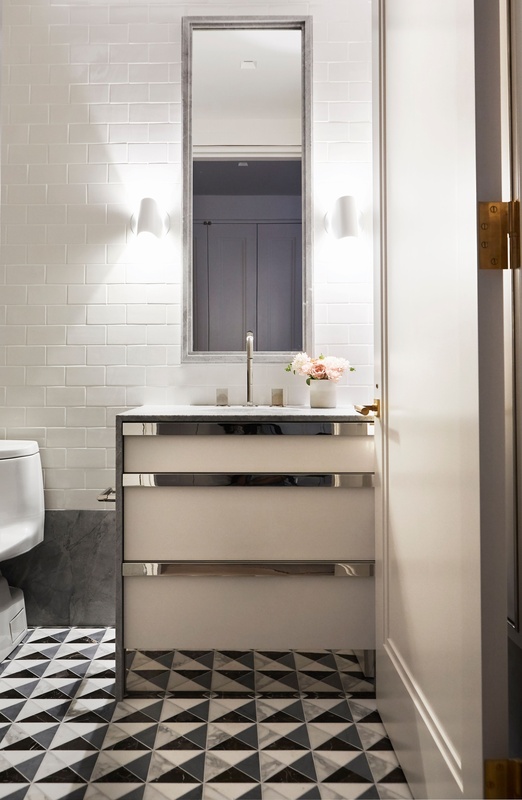 Her Bathroom is set in White Rhino marble flooring and walls with Kaldewie cast iron tub, separate glass encased shower, Kelly Wearstler lighting, Fantini Rubinetti fixtures in Crystal and Neorest Toto toilet. 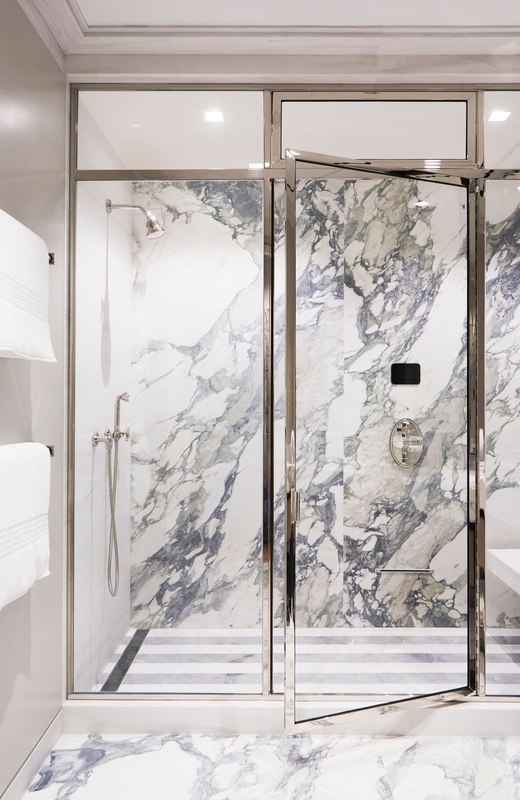 His Bathroom floor to ceiling stone is Calcutta Turquoise and Dolomite, walk in steam shower with Waterworks fixtures throughout and Neorest Toto toilet. Winged His and Her closets both designed by Porro, custom made in Italy. 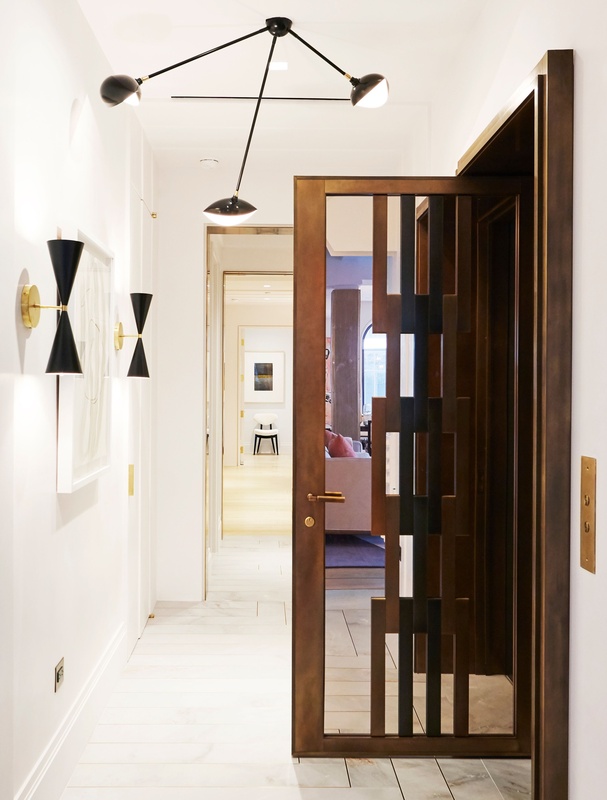 His closet is finished in a rich, handsome black and Her closet in stone, with center island, floor to ceiling windows and Verner Paton Mother of Pearl pendant. 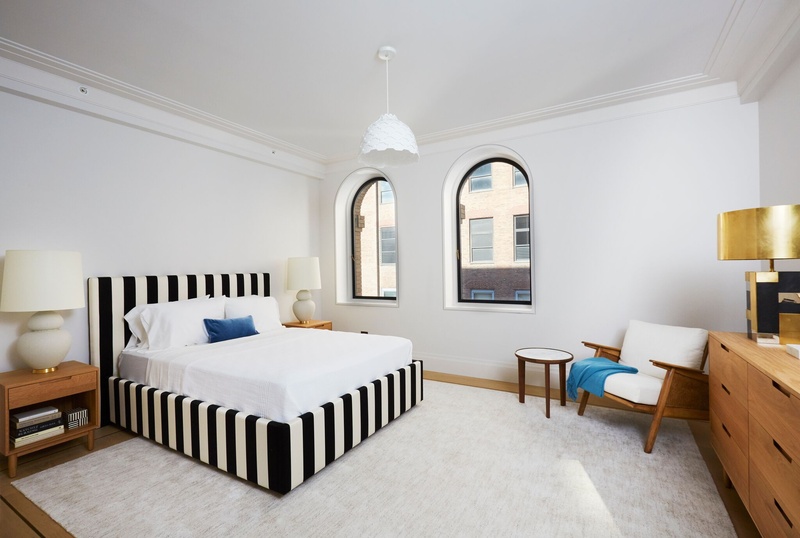 North facing elegant guest suite with arched windows, wide gallery like entrance, walls of closets and ensuite bath set in Blue de Savoie stone with handmade wall tiles, striking Fantini Rubinetti fixtures in nickle, IO sconces and Toto toilet. Double doors open to library or playroom which lead to bedrooms three and four --- each more beautiful than the next. 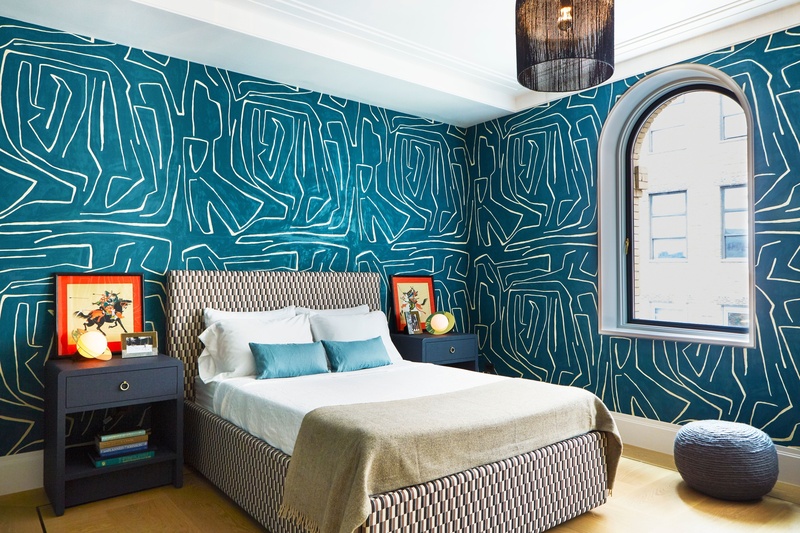 The Third bedroom is finished in Pierre Frey wall covering, custom plaster crown, walk-in closet and soft Northern light. 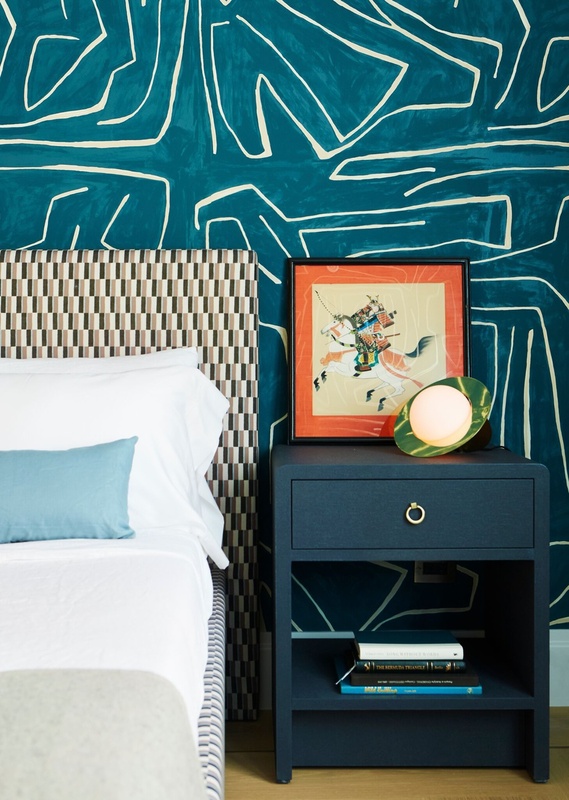 The Fourth bedroom is finished in Kelly Wearstler hand painted wall covering, custom plaster crown and walk-in closet, also North facing. 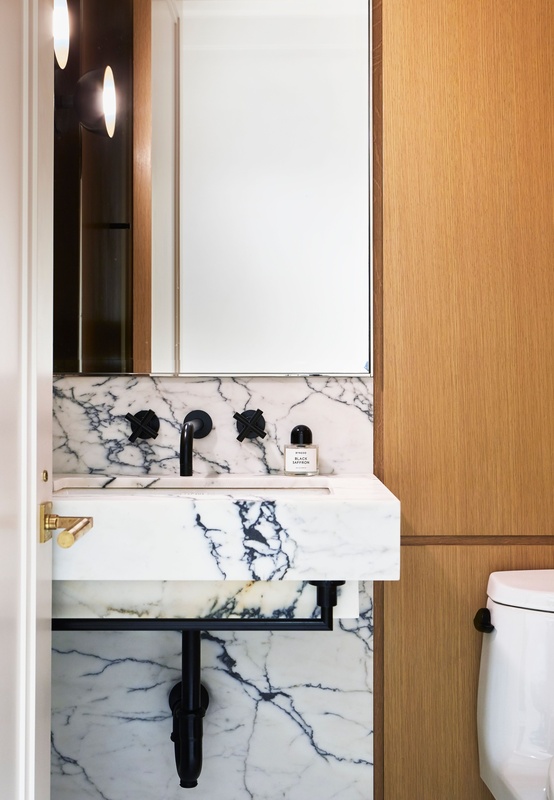 The ensuite Bath is set in Nero Fusilli marble stone, handmade wall tiles and handmade mosaic floor tiles. 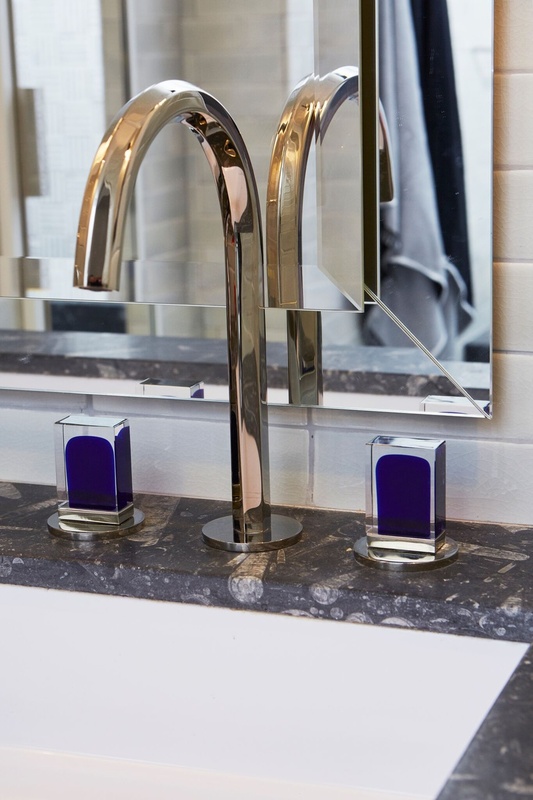 Fixtures are Fantini Rubenetti in nickel with beautiful blue hand blown Murano glass knobs, OI sconces paired with the striking custom Dichroic mirror. 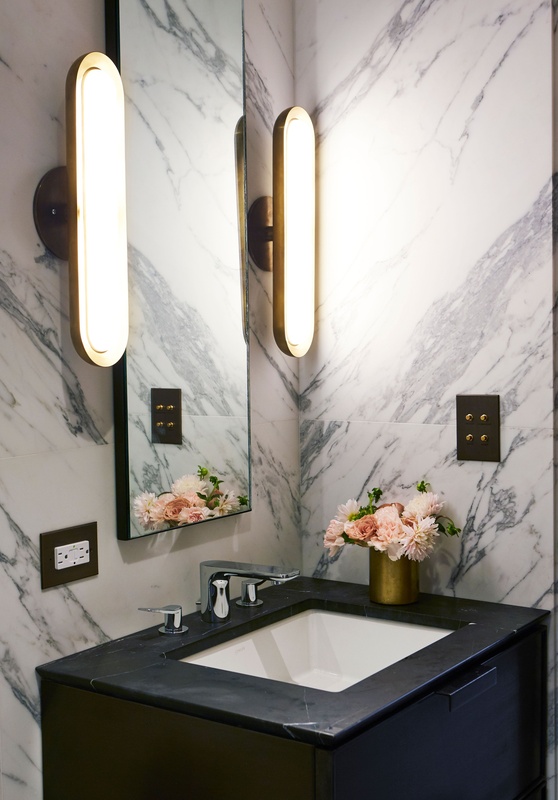 Strikingly beautiful Paonazzo Black marble sink and sink wall, set against bleached walnut, Vola fixtures in matte black, Toto and contemporary Apparatus sconce in Powder. Ultra-chic and contemporary. 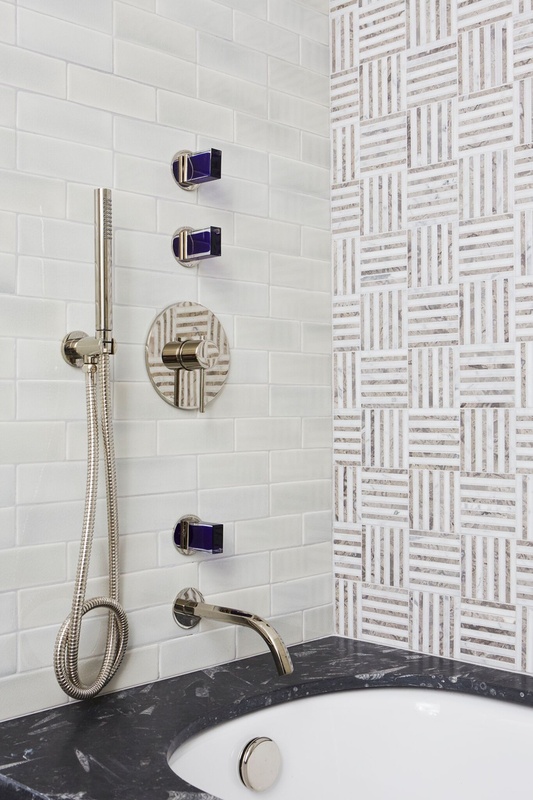 Facing North, this super sweet Fifth bedroom or House Keeper Suite has ensuite bath set in custom handmade wall tiles and marble mosaic flooring. Waterworks fixtures and Toto toilet. 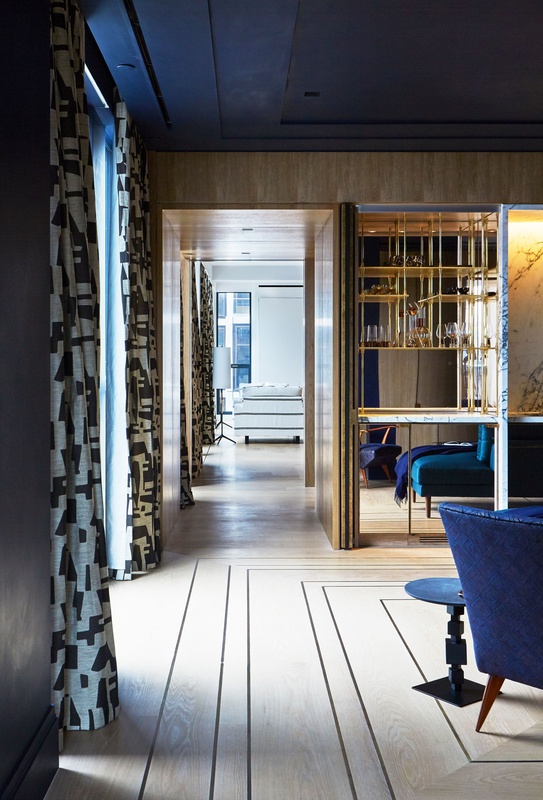 Throughout Residence Six, handmade luxury switches, sockets, intercoms and elevator plate were custom made and engraved in Paris by Meljac in a burnished brass with unlacquered polished brass accents. The quality of Meljac products and their refined finishes results from the combination of many unparalleled design, machining, engraving, chamfering, insets, stamping, polishing, surface treatment, brushing, varnishing, assembly and packaging. 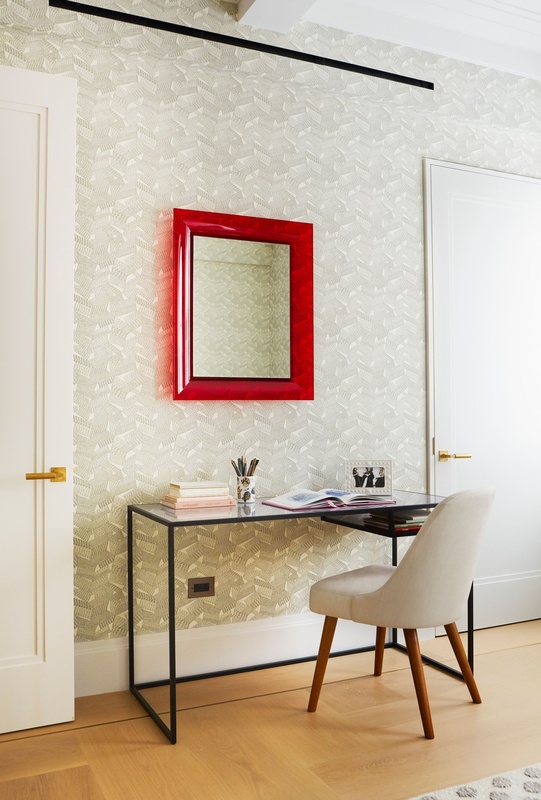 The result is an exquisite range of tailor-made electrical accessories which exude, elegance, audacity, finesse and creativity: a successful combination with French know-how. 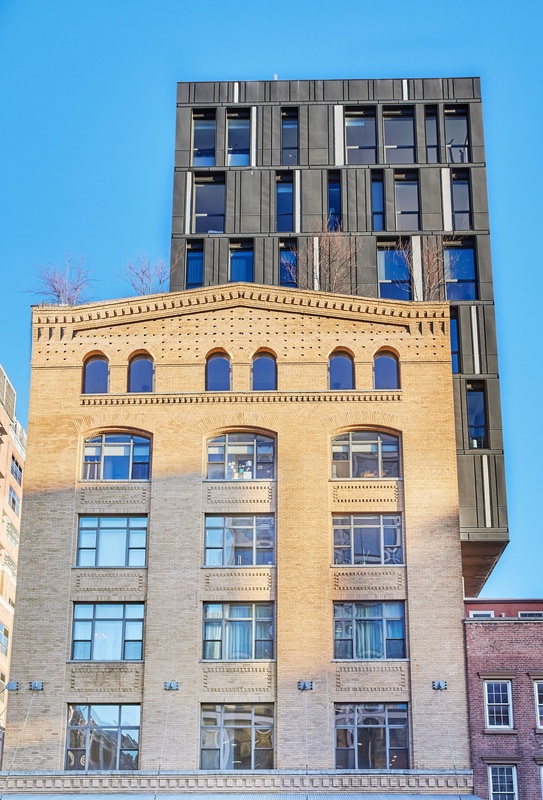 Prestigious locations include: Château de Versailles, Louvre Museum, Maeght Foundation in Saint Paul de Vence, Wilmotte Foundation in Venice, Horta Museum in Brussels, Boucheron, Cartier, Chanel, Dolce & Gabbana, Fendi, Hermès, Moncler, Rolex, Van Cleef & Arpels and ---- 66 Ninth Avenue Residence Six, New York. 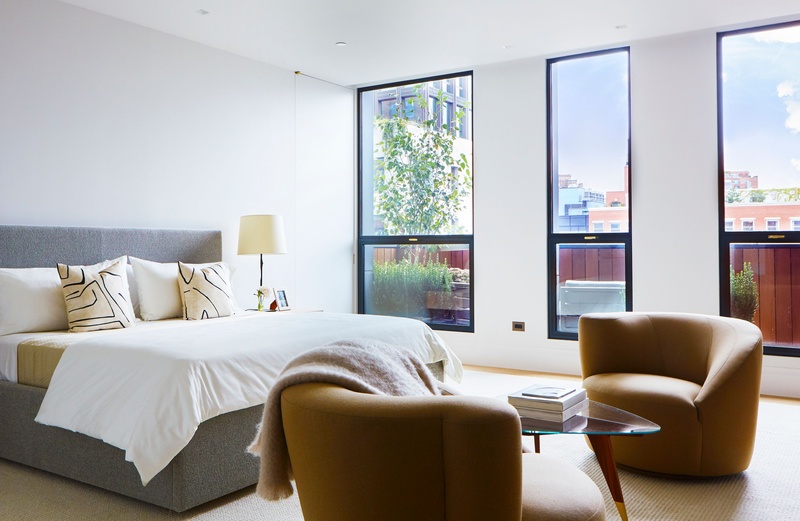 Residence Six operates with the elite and cutting edge home automation system, SAVANT. 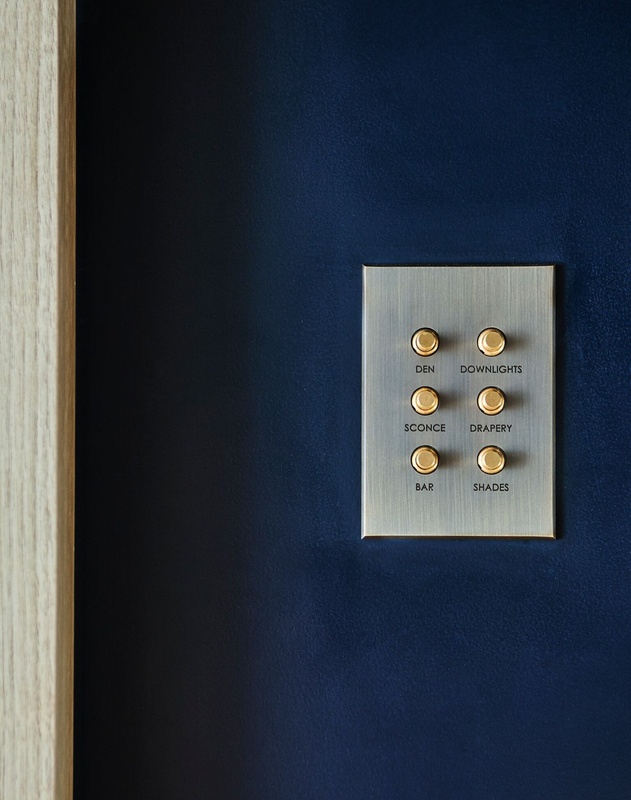 SAVANT is the recognized and renowned leader in the field of custom luxury home control and automation, controlling and perfecting the world’s most luxurious homes since 2005. Savant offers the beyond compare convenience of controlling lighting, climate, entertainment, and security from a single, intuitive app. 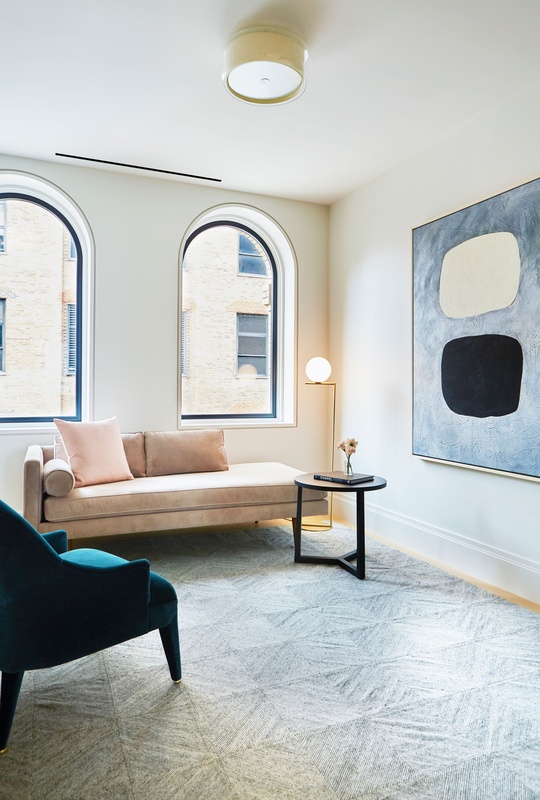 This SAVANT Home is no exception with the everyday luxuries of all SAVANT Lighting, Entertainment, Shades and Drapes, Climate Control -- all accessible and controlled by a single touch from anywhere in the world. The whole-house distribution and lossless audio compatibility makes the Savant Music in Residence Six beyond top of line and ideal for even the most discerning audiophile. Coupled with the high-end stealth speakers throughout make this a remarkable and luxurious SAVANT Home. Customize all settings to set the most perfect scene to suit any need at any time with favorite music and lighting to temperature in any room, from anywhere. Luxury at its finest awaits! 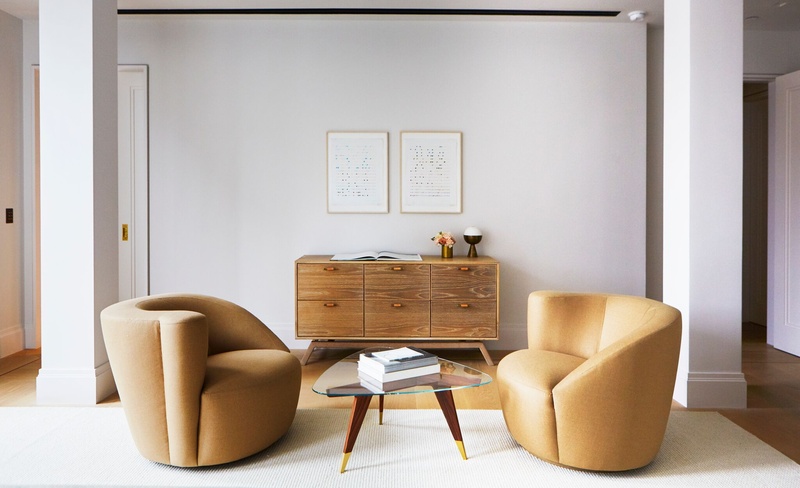 Residence Six has been meticulous curated with every square inch more beautiful than the next to include custom designer furnishings, accessories and Mid-Century Modern treasures throughout. 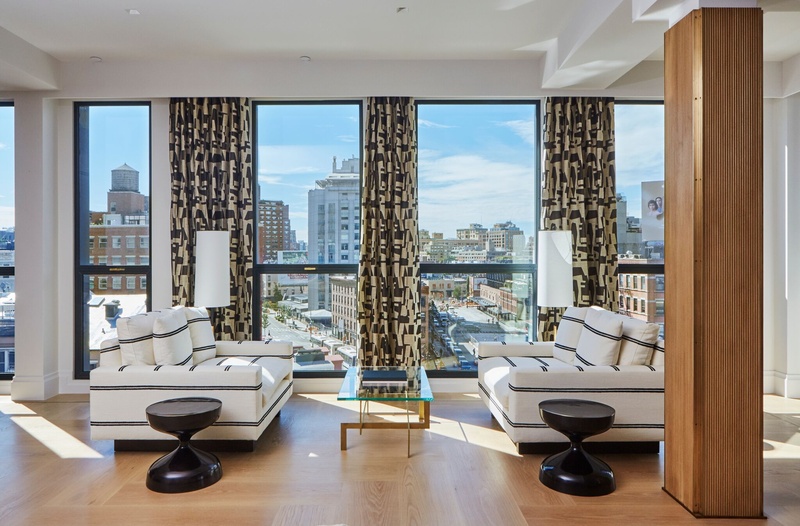 The owner’s dream vision was to create the most perfect home in the heart of the Meatpacking District, one never seen before, reflecting the impeccable twist of classic Uptown sensibilities coupled with the chic vibrancy of Downtown. To further elevate, the highest quality materials and finishes were selected and masterfully executed in every single detail. 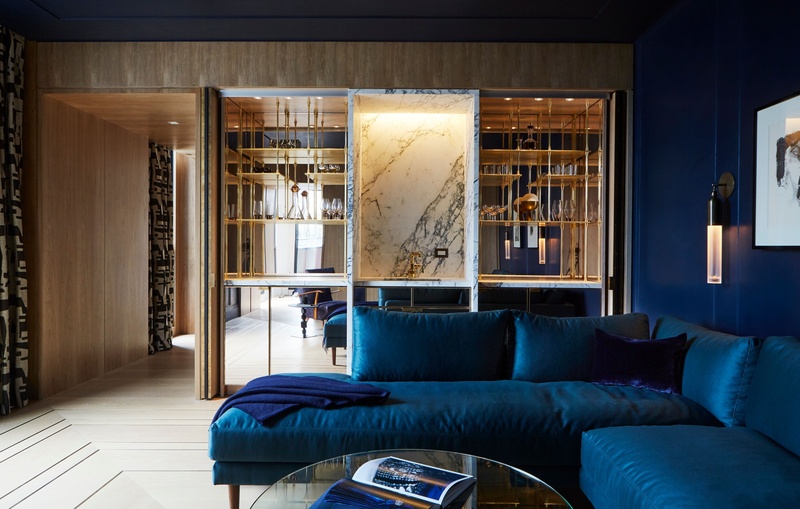 The home can be purchased entirely turn-key, bespoke interiors designed by Paris Forino. 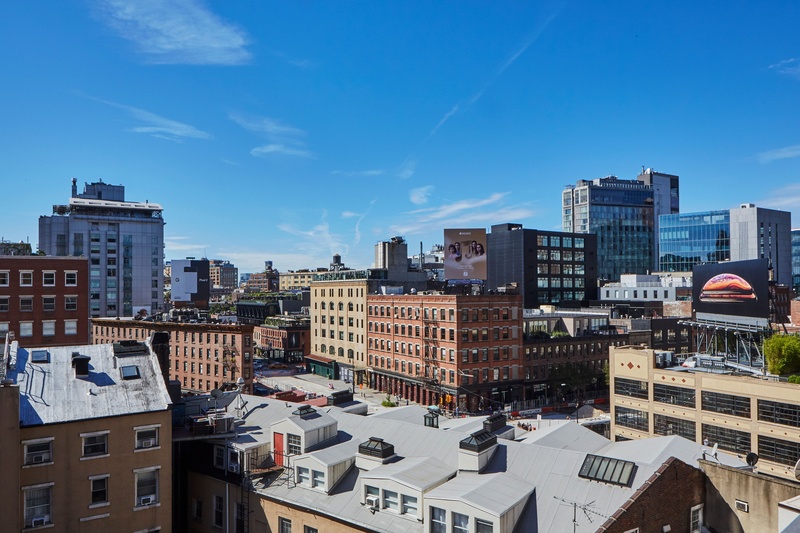 NEIGHBORS include Google Headquarters, Chelsea Market, Apple, Vornado's 61 Ninth Avenue, Tikehau Capital, Martime Hotel, SOHO HOUSE, The High-Line, Restoration Hardware, Pastis, Standard Hotel, STK, Catch, Whitney Museum, Bubby's and more!